With just months left in office, Mayor Thomas M. Menino is making key appointments to the Boston Redevelopment Authority board of directors that could allow him to influence major building projects long after he leaves City Hall. Menino recently appointed Michael Monahan, head of a local electrical workers union, to a five-year term on the BRA board. The mayor has also said he will soon name a replacement for chairman Clarence “Jeep” Jones, who announced his retirement last week after 32 years as a board member. The appointments will allow Menino to influence the direction of one the city’s most powerful bodies for the next several years. The five-member BRA board controls decision-making on all significant development projects in Boston and now presides over one of the most active periods of construction in the city’s history. Any replacement for Jones must be confirmed by the city council, but the council has already signed off on Monahan’s appointment. 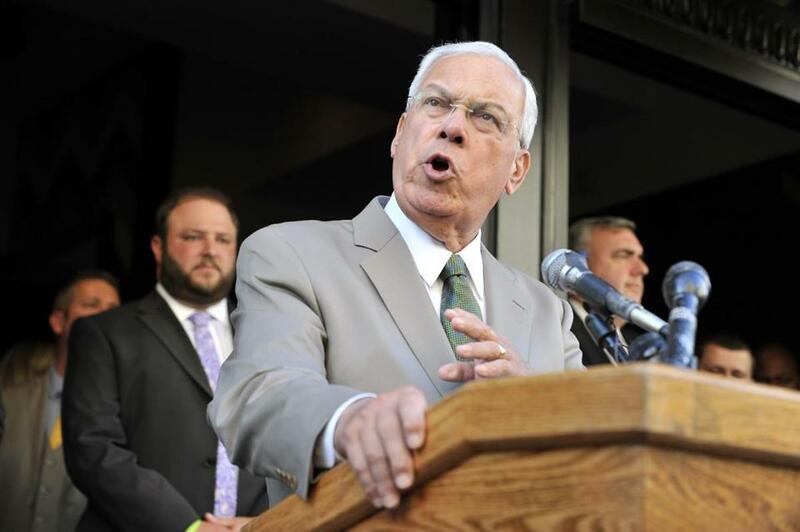 Menino has the power to nominate new members to city boards until the Nov. 5 general election. After that, additional nominations could be rescinded by the incoming mayor. Bute Menino’s late-term additions could make it harder for his successor to enact sweeping reforms at the BRA, or change its decision-making on major development initiatives. The BRA board contains four members appointed by the mayor, and one by the economic development arm of the governor’s administration. Members are appointed to five-year terms, but many serve much longer on an at-will basis, as long as neither the mayor nor the governor seeks to remove them. Menino’s new picks will join Timothy J. Burke, a 2011 appointee of governor Deval Patrick’s administration; Paul D. Foster, a 2006 appointee of Menino; and Consuelo Gonzales-Thornell, a 1989 appointee of former mayor Raymond Flynn who has remained on the board under Menino. The terms of Foster and Gonzales-Thornell have expired, so the next mayor will have the opportunity to replace those board members unless Menino takes action to reappoint them. So far, Menino has not indicated he will do so. Although the BRA board operates separately from the mayor’s office, the power to appoint most of its members gives Boston’s mayor broad control over its composition and general philosophy. The board’s decisions have far-reaching impacts on everything from housing affordability to parking policy to taxation. Its votes also affect the kinds of retail and office tenants that operate in the city, as well as architecture and building heights. Menino, like his predecessors, has used the BRA to pursue his vision for the city’s development. He has won praise for revitalizing neighborhoods and commercial districts from Roslindale Square to Downtown Crossing and the South Boston Innovation District. But he also faced criticism for wielding too much control of the BRA and its development review process, and some have accused him of making decisions based on politics instead of sound policy. Menino’s late-term additions could make it harder for his successor to enact sweeping reforms at the BRA. But the current board, whether lobbied directly by the mayor or not, has rarely voted in defiance of his priorities. The BRA has become a major point of focus in the race to replace Menino. Many candidates have said the authority has too much power and should be abolished or have its responsibilities divided among multiple city agencies. Some have also suggested that directors, who are paid $10,000 a year, should not be allowed to serve on an at-will basis, a practice that can extend their terms indefinitely and open the board to political manipulation. Some of the BRA’s current directors have been serving on the board for decades. Jones, the retiring chairman, was first appointed by former mayor Kevin White in 1981. In 1983, Jones was among four board members whose late-term reappointments by White were opposed by then-incoming mayor Raymond Flynn. Flynn argued he should be allowed to set the direction of the board, although he eventually reappointed Jones and named him chairman in 1989. Jones has served in that post ever since, with Menino never taking action to replace him or formally reappoint him. During a Sept. 12 board meeting, Jones announced that he would retire from the board later this month, giving Menino the opportunity to appoint a new director. Attempts to reach the chairman for comment were unsuccessful. Monahan, the appointee from the International Brotherhood of Electrical Workers, started his service at the same meeting at which Jones announced his retirement. Monahan was tapped by Menino to replace James Coyle, who stepped down from the board earlier this year after retiring from the Boston Building Trades Council. That seat on the BRA board has, in recent times, been occupied by a member of a major labor union in the city. Monahan, who has served under Menino as a member of the Zoning Board of Appeals, declined to comment on whether his appointment to the BRA board would preserve the mayor’s influence on building projects. The next mayor could circumvent Menino’s late-term appointments by dismantling the BRA board or limiting its control over development projects. But such a process would be likely to take many months and could disrupt the review process during a period of rapid development activity in the city. More than 5,300 homes are under construction in Boston’s neighborhoods, and new office buildings and hotels are sprouting from Roxbury to the Back Bay to the South Boston Innovation District. On Thursday, Skanska Commercial Development USA formally started construction of a 17-story office tower to be occupied by PricewaterhouseCoopers LLP in the Innovation District, one of a half dozen major projects in that area. Menino cited the project as an example of the kind of development he wants to see in his waning days in office. He said that neither he nor the BRA’s leadership is trying to fast-track projects without satisfying the concerns of neighbors and regulators.